Barclay Training Center, Monrovia– Liberia’s Defense Minister, Brownie J. Samukai, says the Ministry of National Defense will continue to seek partnership opportunities with Canada for the advancement of Liberia’s Maritime Security. The Minister noted that from the security perspective, the Liberian Coast Guard is prepared to cooperate with all partner nations in ensuring the safety of the broader West African Coastal regions with the aim of thwarting ‘tragedy of the commons’. 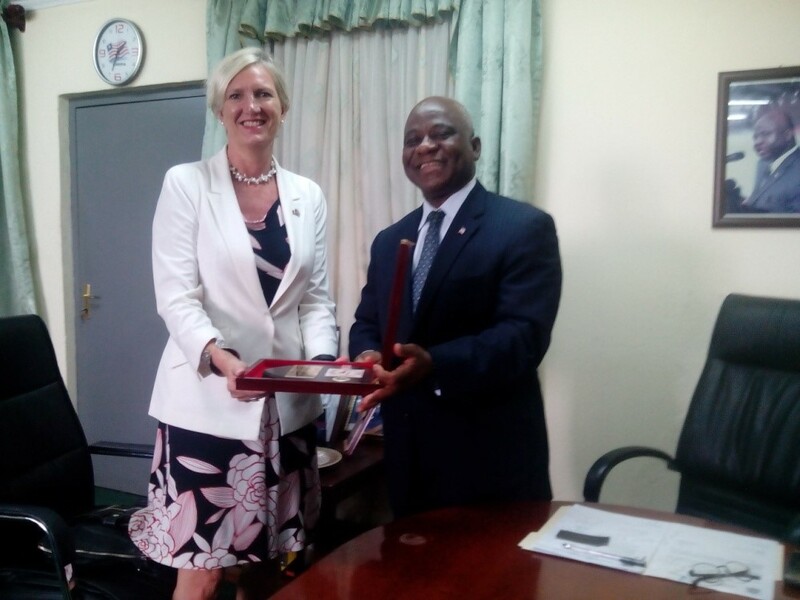 The Liberian Defense boss acknowledged the historical role the Canadian Government and People played over the years with regards to impacting the development of the Liberian Defense Sector. Touching on global security concerns, Minister Samukai intimated that the Liberian Defense Sector remains keen about strengthening relations with its regional and global counterparts in the collective spirit of maintaining global peace and security. 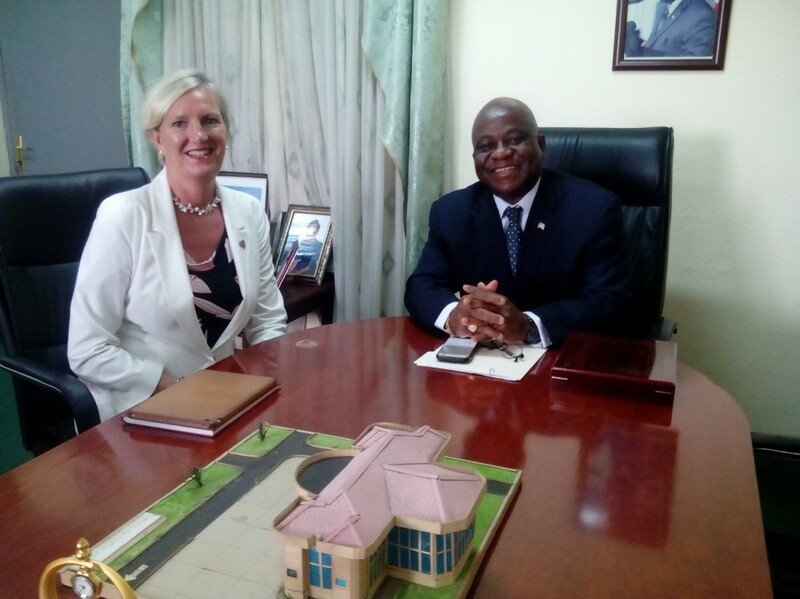 Minister Samukai made these assertions on Thursday, March 9, 2017 when Her Excellency Madame Patricia McCullagh, the Canadian Ambassador accredited to Liberia, paid a courtesy call on him at his Barclay Training Center office at the United Nations Drive. Speaking during the visit, the Canadian Ambassador praised Minister Samukai and the AFL for the professional growth of the force over the years, which, according to the Ambassador, is a product of transformational leadership. The Canadian Ambassador expressed her country’s preparedness to work with Liberia within the broad spectrum of collaboration adding, “Maritime security is of concern and I hope my country will work closely with Liberia’s Ministry of National Defense”. In a related development, the Canadian Ambassador has disclosed that a Canadian Naval Vessel- HMCS MONCTON- is expected to conduct, for the first time, a routine port visit to Monrovia from 21- 30 March, 2017 as part of a greater exercise within the Gulf of Guinea. The HMCS MONCTON has since March 2, deployed in the Gulf of Guinea region and is currently conducting Force Generation activities with regional nations and allied partners, including Liberia, in order to gain a greater understanding of the pattern of life and recognized maritime picture in the Gulf of Guinea.